Samsung E2232 (also known as Samsung E2232 Duos) is the latest mobile phone from Samsung Pakistan. 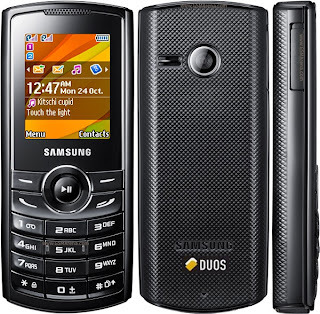 E2232 Duos is a low bodget / mid-range mobile phone with Samsung's Original Dual SIM Technology (Both SIMs works at the same time). 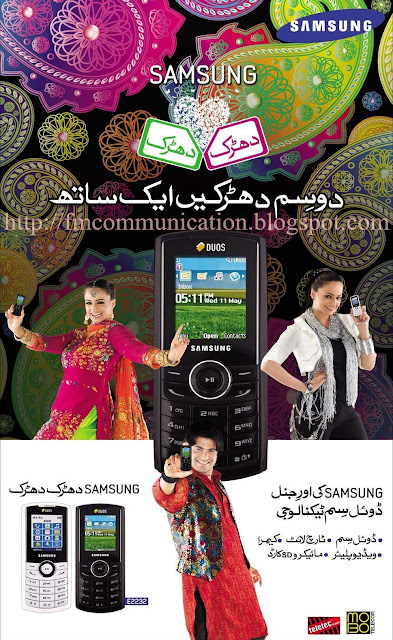 The New Samsung E2232 DUOS mobile phone is an affordable Dual SIM mobile, with dual stand-by, in Pakistan. It features like a 1.77 inch TFT display, 3.5mm standard audio-jack, VGA camera, MP3 player, FM Radio, internal memory and support external memory by micro SD card. E2232 Duos also supports Bluetooth, WAP and USB data connectivity and powered by standard battery. Samsung E2232 DUOS Price in Pakistan: E2232 Duos Price in Pakistan is Rs.4100 /- (around). E2232 Duos is available in three color models (black, white and silver) and it comes with TeleTech and Mobo International warranties. My name is S.M.Ibrahim from Multan Cell-0300-5543160. its SAMSUNG E2232 dual sim mobile is very good light weight cell phone with speedy sms reading and much more functions easily approach. its better then nokia c2 ever price is low and new set is 3950/- i like it too.